If you're looking for unique ways to decorate your house, fabrics are a great way to go. This is also the perfect time to start putting together Halloween blankets! For me, these fabrics are great inspiration tools that I use to determine what theme to use for my house next year. 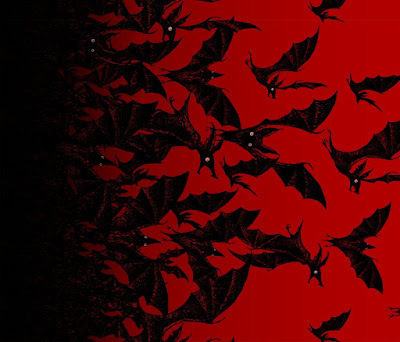 The Calvarium has amazing Halloween and Goth fabrics that would be great for decor and Halloween crafts and costumes. This really basic, but awesome Night Hunter border - Ruby Fabric would be great for enhancing your home decor. It comes in all kinds of materials like Cotton, Satin, Canvas, etc. You can also choose how much fabric you would like. I am enjoying this art style which reminds me of Edward Gorey. 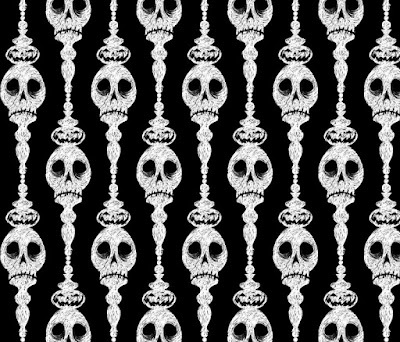 If I feel really determined I would use this Scratch Board Skulls fabric to make a curtain. I think this fabric would be perfect for curtains, but of course I would only be able to have them up for one month! I don't think I could get away with it all year! 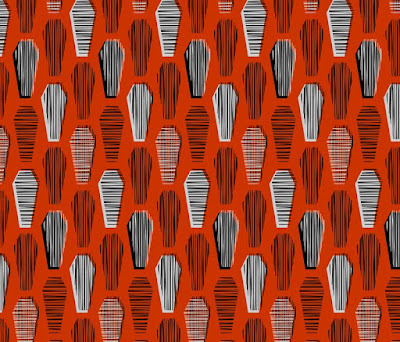 The Lined Coffins - Calvarium Red would give your house a funky edge! The art that they used for the coffins is pretty basic, but fun at the same time. What I would give to have this Stripes and Bats - Gray on my walls. 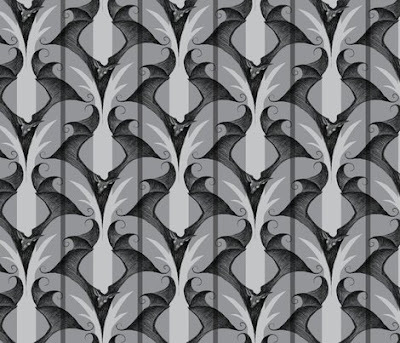 It might be the same art style as the first fabric that I showed, but this design is so elegant. I'm sure I could make it work, but for one day or maybe one week out of the year? I don't know if it's worth it, but it is definitely an awesome fabric. Another fabulous fabric for shades or even wallpaper! 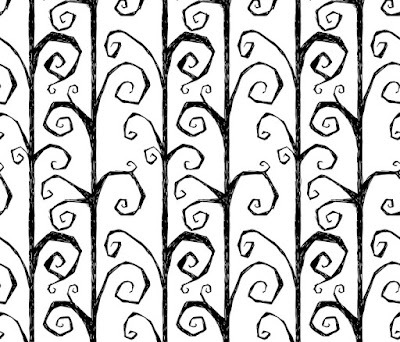 The Burton's Vines in Light Grey definitely have a Tim Burton feel. I might be able to get away with these all year round to be perfectly honest. 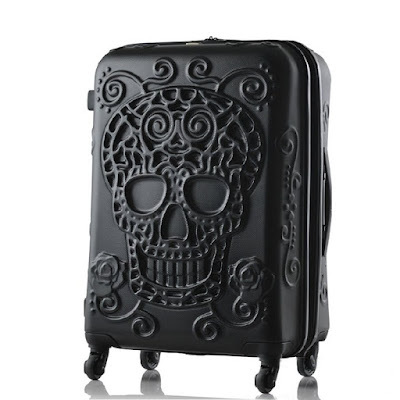 This would also make a very cool design for a skirt or even a tablecloth. The Vintage Pumpkins are incredibly adorable. This fabric can be used for all sorts of things. The first thing I imagined was kitchen towels or hand towels. 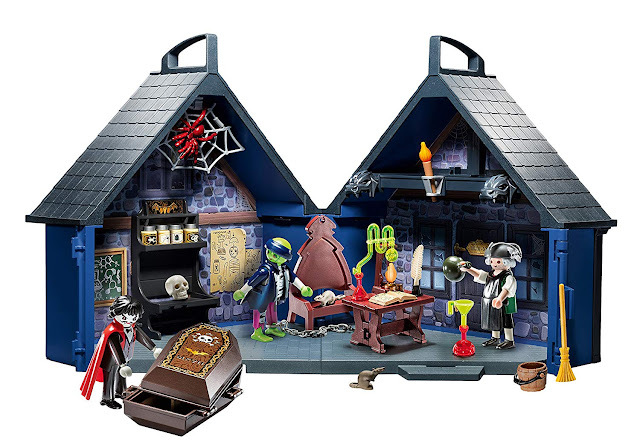 These would be very simple and great for enhancing your Halloween house. I can even imagine using this for blanket fabric! I had to show this Mod Ghosties Fabric because some of us (including me) have to accommodate for the children. The little ones don't necessarily want to hang around or trick or treat at the scariest house on the block. 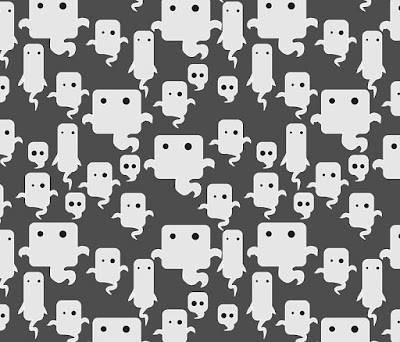 These cute little ghosts aren't as intimidating as some of the other fabric. This would also make an adorable fabric for making cute leggings or a baby onesie. 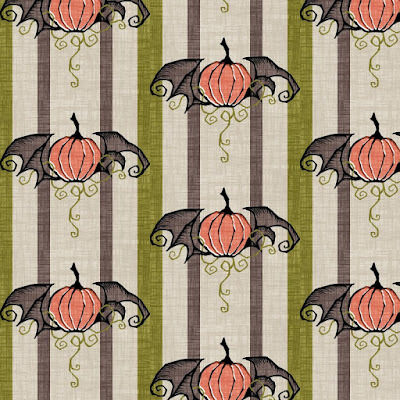 There are so many options for Halloween fabrics at The Calvarium. What would best fit your style or theme for this coming year? Prepare early! Tell me about it down below in the comments!